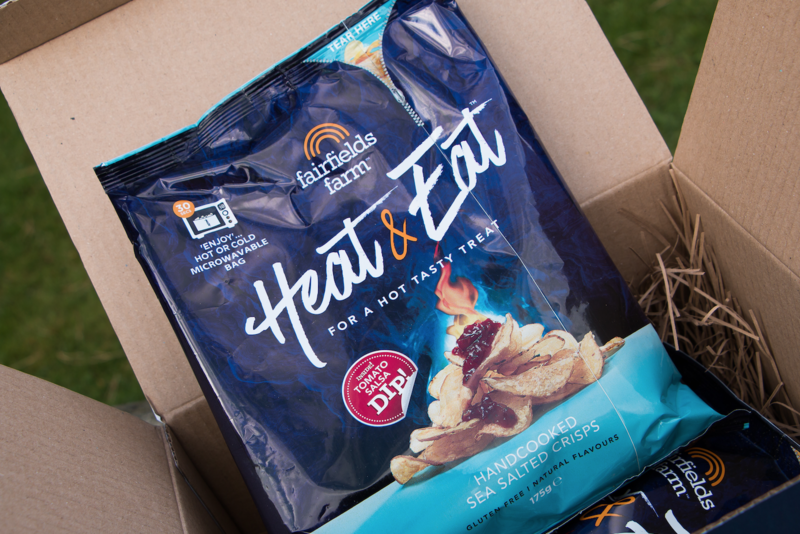 Here at Fairfields Farm we are extremely excited to announce the launch of our latest product, Heat & Eat, the first EVER microwaveable bag of crisps complete with a scrummy dip. The most exciting snack concept to date! Packaged in an eye-catching, triple layered patented pack that easily stands upright in the microwave, our newest crisps are ready to eat after just 30 seconds of heating – replicating that warm, crunchy, fresh out of the fryer taste. We have spent many months perfecting the packaging to ensure the bites stay crisp even after warming, creating that delicious fresh feeling. Our 175g bag includes a 50g dip and comes in two delicious flavours; Sea Salted Crisps with a Tomato Salsa dip and Cheese and Chive with a Caramelised Onion dip. After officially launching our new crisp revelation at the Speciality and Fine Foods Fair in London, Heat & Eat have taken off tremendously, bagging detailed features in The Sun and The Mirror alongside dozens of magazines, articles and radio stations. Everyone has been keen to share our newest yummy concept, but we can’t be too surprised… after all, we’ve come up with something that’s not only unique, but also creates a whole new snacking occasion! If you were wondering how to get your hands on a bag of our delicious microwavable crisps, you can expect to start seeing them in pubs and venues across the country in the coming few weeks. But if you can’t wait that long, not to worry- get down to your local Tesco store now ( check our your nearest stockist on our map). Time to stock up on your new snacking needs!